Chester, England. 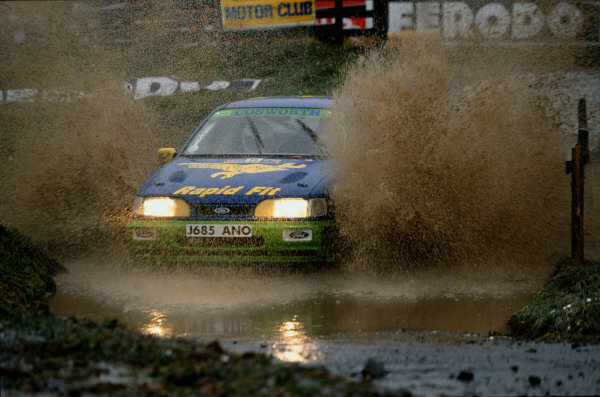 22nd - 25th November 1992.<br /> Tiff Needell/Tina Thorner (Ford Sierra RS Cosworth 4x4), 31st position, action. <br /> World Copyright: LAT Photographic.<br /> Ref: 92WRC 01.